Around a month ago Bandai held their annual Tamashii Nations event in Japan. This is where they showcase a huge variety of figures from their various Tamashii Nations lines (S.H. Figuarts, Robot Damashii, S.I.C. and more), along with revealing ones that are due for release next year and beyond. As per usual the 2014 event unveiled an incredible amount of figures, not just from tokusatsu shows like Kamen Rider and Super Sentai, but a whole host of new series and licenses. These included Avengers: Age of Ultron, Dragonball GT, Ranma 1/2 and even Disney's Frozen. With 2014 quickly drawing to a close, the last of the Ressha Sentai ToQger toys are currently trickling out even though the show will have a month or so left in it next year. As far as the minipla line goes it has been a pretty good year for Super Sentai, although the rest of the toys and the show itself seem to have been met to a rather mixed reception from Western fans (that's a discussion for another review). Rounding off the line we have Hyper Ressha TeiOh - gigantic steam train that almost doubles as a mini-playset, offering compatibility with all the previous trains released in the line so far. Surely nothing could go wrong with a set that offers so much right? Just over a year ago studio Trigger burst onto the anime scene with their first full-length series Kill la Kill, and instantly won over fans with its signature brand of over the top craziness and homages to the hot-blooded shows of old. What the show has received in terms of poseable figures since has admittedly not been a whole lot, but what has come out so far has certainly left an impression. Perhaps most notably has been the entries in Good Smile Company's Nendoroid line, which continues with its third Kill la Kill release - Satsuki Kiryuin. As a huge Satsuki fan, it's about damn time she had a figure. Don't you find it a strange coincidence that all these Nintendo characters that feature in Super Smash Bros. are coming out around the same time as the new games, despite the figures themselves being from their original appearances and having little to do with Nintendo's giant fighting crossover? That aside, Good Smile Company continue the fantastic work they've done so far with the eagerly awaited Nendoroid Link from The Legend of Zelda: The Wind Waker. This just happens to be one of my favourite games of all time (I bought the Wii U version on release despite not owning the console just to get that limited edition Ganondorf statue), so finally getting a decent Toon Link was a dream come true for me. After suffering a few months of delays, this figure was first released in October 2014. If the Tamashii Nations 2014 event taught us anything, it's that there's still plenty of Kamen Rider Gaim S.H. Figuarts releases to come that will take us well into 2015. But as far as this year is concerned, we're beginning to wind things down with the last few releases from this series. The original generation Sengoku Driver armoured Riders are almost completed, and here we get a little bit closer to a full set with the release of Kamen Rider Kurokage Matsubokkuri Arms (aka pinecone arms). This figure was a Tamashii web exclusive, originally released at the end of October. 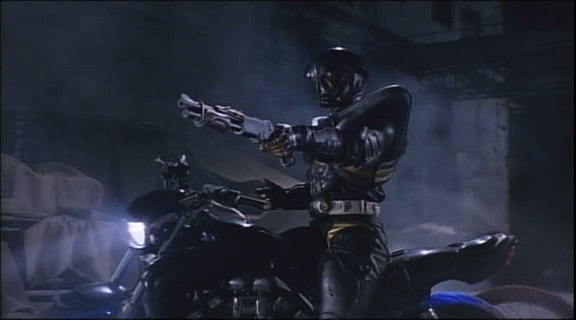 These days giving the bad guys the lead focus is all the rage in films, but the Kikaider franchise got there all the way back in 1995 with the movie Mechanical Violator Hakaider. Directed by Keita Amemiya of Garo fame, this film doesn't have the classic two-toned hero in sight and instead focuses on a brand new interpretation of Hakaider in a futuristic dystopian setting. Of course, no matter which version of Hakaider you're dealing with you're guaranteed death and destruction. It's not just his nature, it's in his name as well. In a time before Super Sentai and still the early years of Kamen Rider, there was another Shotaro Ishinomori hero winning children's hearts across Japan. And with the original Android Kikaider proving a success, it's no surprise that it was immediately followed up with a sequel series. 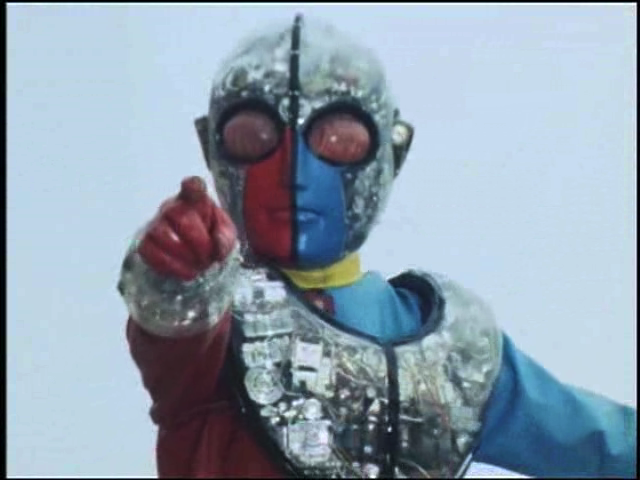 Kikaider 01 saw a brand new two-toned robotic hero take up the fight against evil, running for a total of 46 episodes between 1973 and 1974. 2014 has marked the year that the S.H. Figuarts toyline has truly started to delve into some of the great tokusatsu relics of the past, and if the news from the recent Tamashii Nations event is anything to go by this will be continuing long into 2015 and beyond. But before the line begins to properly dig into the world of Metal Heroes, there's another iconic series that's in need of a few more releases. Hot on the heels of S.H. Figuarts Kikaider comes the android's eternal rival Hakaider, based on his appearance in the original Android Kikaider series. Like Kikaider this was also a Tamashii web exclusive, originally released at the end of October 2014. With the last Pokémon S.H. Figuarts release being Lucario and the D-Arts Charizard figure commanding some rather insane aftermarket prices, I'm sure to many collectors expected Bandai Tamashii Nations to continue going down the Super Smash Bros. route and have Greninja as the next release. But it seems Bandai had different plans, and one that ties in nicely with another imminent game release. Just a month before the release of Pokémon Omega Ruby and Alpha Sapphire comes Mega Blaziken, also marking the first mega evolution in the D-Arts turned Figuarts line. The big finale has finally arrived! Danny Pink is dead! Missy is the Master! 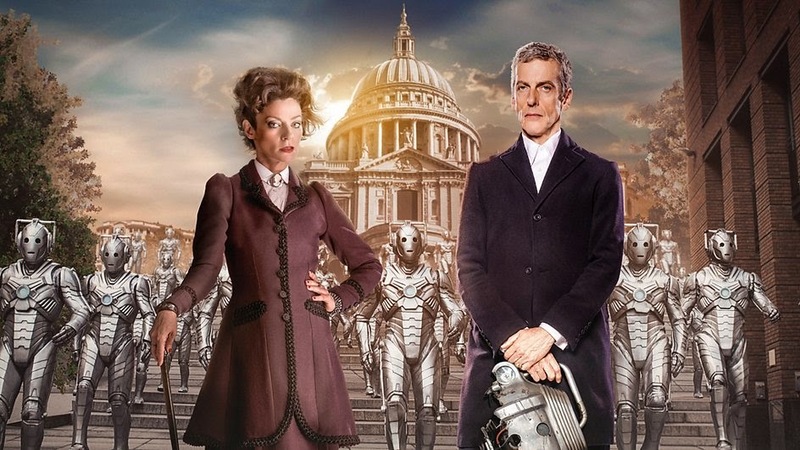 There are Cybermen pouring out of St Paul's Cathedral! As the Doctor and Clara face Earth's darkness hour, they'll both be presented with some incredibly hard decisions. 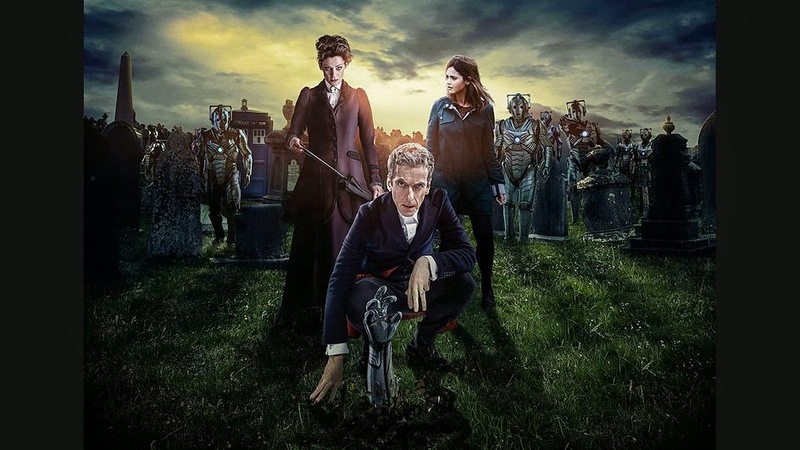 The Cybermen have revealed that with Missy's help they now have the power to pollinate the dead, UNIT return and the Doctor is made President of planet Earth in the crisis. As the Doctor has every army under his command to defend Earth against this Cyberthreat, Clara meets Danny again in a way she never expected. But what is Missy's end goal? It's time for Death in Heaven. When you consider how big of a franchise it is, it's rather surprising that Pokémon hasn't received all that many higher-end poseable figures over the years. Sure Bandai have done some pretty great D-Arts and S.H. Figuarts releases recently, but the wide spectrum of trainers from both the games and the anime have been left untouched. Until now that is! Following a completely unexpected announcement, Good Smile Company have released Red, the original Pokémon trainer, in their popular Nendoroid line (based on his appearance in the Pokémon Fire Red and Leaf Green games, as well as the Pokémon the Origin anime miniseries). However the big catch is he was released as a Pokémon Centre a Store exclusive in Japan, only available from the few physical stores and Amazon.co.jp. And with buyers being limited to one figure per person, it's also a figure to have evaded many a middleman service. So it's just as well I managed to get one when I did! When I first laid eyes on the promotional images for S.H. Figuarts Kamen Rider Gaim Kachidoki Arms, I knew that going the extra mile to buy form changes for the Kamen Rider Gaim figures was the right decision to make (possibly not for my wallet, but that's a different story). After Jimber Arms started dabbling in the Gaim suit evolving into something a little more than an orange-flavoured samurai, Kachidoki Arms takes this and runs with it even further by turning Kamen Rider Gaim into a one-man army of badassery. Make no mistake the orange theme is still very much alive in this form, but Gaim has gone full Shogun with heavy armour that covers almost his entire body.